Cosmologists create theories based on mathematical models of reality, such as the Big Bang Theory, String Theory, and the Multiverse Theory – the idea that there are many universes. But theories about the universe are often difficult to prove, and if they are to be accepted by the science community and general public, they must pass the test of time. Consider the ‘many universes’ theory. Although it sounds like science fiction, some scientists believe that our universe may be one of many ‘hidden’ universes, each independent of the others. It has taken thousands of years for us to appreciate how great the expanse of space is that we call the universe. 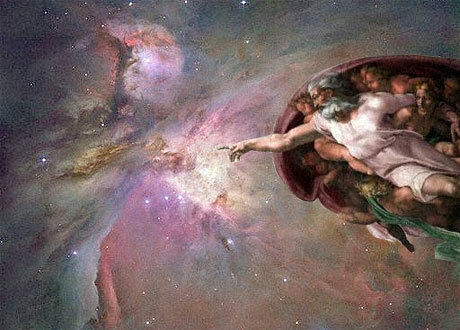 Only several centuries ago, we thought that Earth was the center of the universe. Then we discovered that there were other planets, and that these planets were all moving around the Sun. As the ability of astronomers to observe the skies increased, we found that there were many stars in our Milky Way galaxy; and finally, that there were many galaxies distributed throughout the universe. Today we know that our galaxy contains about a hundred billion stars, and the universe contains a hundred billion galaxies. Given this history, it is not so far-fetched to think that we may inhabit one of a hundred billion universes. If that turns out to be the case, we will have to name our universe, like we did the Earth, the Sun and the Milky Way galaxy. While we are at it, perhaps we should also consider naming our moon. Although my understanding is that NASA tends not to look kindly on this idea, probably for good reason. ‘Moon’ is such a beautiful word. Popular media including books, the internet, radio and television, newspapers, movies, and video games often refer to space and time. But what is space, exactly? Is space something or nothing? Does it have a shape? Is space the stuff between things, or are things made of space? Have you ever wondered about the nature of time? 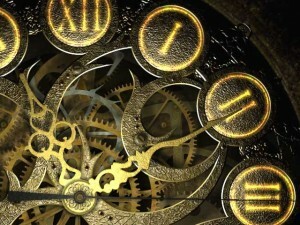 Not just about how clocks or calendars work, but about time itself? What exactly is time? Space is something, not nothing. Space is where something is, its location, and its dimension. 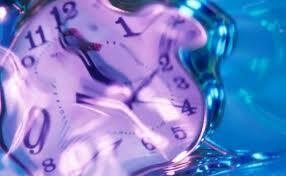 Time refers to how fast or slow something is moving, its speed; or how long it lasts, its duration. Space and time are intertwined. Your body tells you so every day. 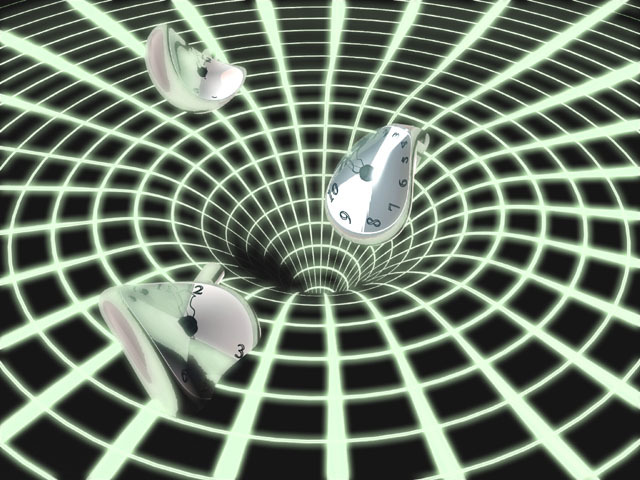 Here are some ways of thinking about space and time. SPACE is everywhere. All things evolve from space and devolve back into space. Space is filled with energy and matter that is constantly moving. Because everything is always moving, change is constant. Energy and matter make-up everything in the universe, from light and other forms of energy, to familiar objects such as the baseball glove lying in the corner, or the vase of flowers sitting on your kitchen table. Although, it may seem as if the baseball glove is not moving, the atoms that make-up its structure are constantly in motion, and of course, the glove resides in your house, which is on planet Earth that is slowly turning as it moves around the sun. Space is the stuff from which all things are made. It is space that shapes and forms the baseball glove and the vase of flowers. It is space that forms the table, and the house, and the planet, and everything we know. Space is not something between things. Space is everywhere, arranged in different forms, sizes, and thicknesses. Space is normally resting, like a calm ocean. The quiet jiggling of space sets in motion the vibrations of energy and matter. These tiny vibrations create the fundamental elements of matter: electrons and quarks. Electrons and quarks form atoms. Different kinds of atoms combine to form molecules. Only a handful of atoms and molecules, arranged in different combinations, make-up all of the material objects in the universe, from a microscopic cell to a giant galaxy. Atoms form and shape how big or small something is, whether something is dense or sparse, what it looks like, and how it behaves. There are four fundamental forces that determine the motions of objects in space. These forces are likely part of a single unified force, although this has yet to be scientifically demonstrated. One of the greatest challenges in modern science has been to unify these four forces. Large objects are held together by gravity, which curves space, while small objects, such as atoms and molecules and their constituent parts, electrons and quarks, are held together by the electromagnetic and nuclear forces. The electromagnetic force balances the electrons with the nuclear protons and neutrons in an atom, while the strong and weak forces unify the quarks that make up the protons and neutrons inside the atom’s nucleus. Because there are typically more atoms crammed together in a big object than in a small one, the bigger object embodies a greater dimension. An elephant incorporates more space than a mosquito. Also, some things are very heavy, or dense, and weigh more, while other things are light and weigh less. Tissue paper is thin and light, while a brick is thick and dense. The nature of a thing is determined by the kind(s) of atoms that define it, and the number and arrangement of its atoms. At the atomic scale, the distance between the nucleus of an atom and it’s electron(s) is on the order of what would appear to be miles to us. Most of space is empty. Space is curvy, wavy. It is the waviness of space that causes large objects, such as planets, or stars, to be gravitationally ‘attracted’ to one another. A large object such as the Earth will attract a smaller object like the moon. This tells us that the force of gravity is deeply related to the dimensions, and density, of objects in space and their distances from one another. 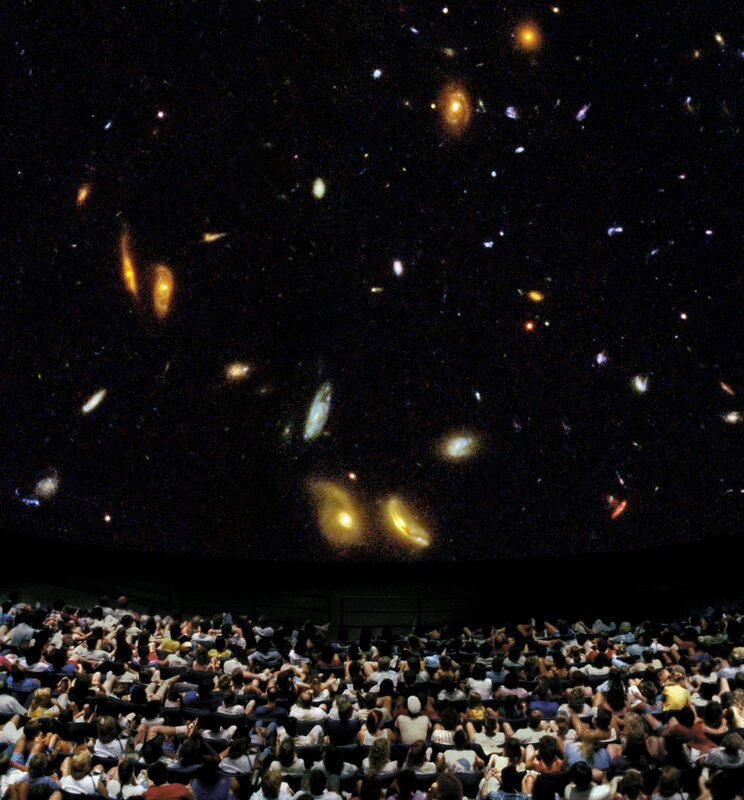 Most of us, at some time or another, want to know just how big the universe is. But a better question might be ‘What exactly is the large-scale structure of space?’ In other words, what would it look like if we could see the whole universe from a grand perch or towering vantage point. 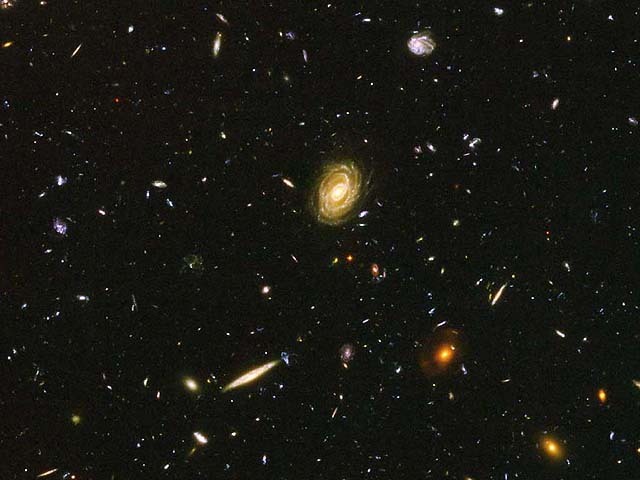 Margaret Geller and John Hukra, at the Harvard Astronomical Observatory, have helped us to do exactly that by photographing large selections of galaxies from the northern and southern hemisphere, then splicing them together to provide a picture of space at the largest scale. It turns out that the overall structure of space consists of filaments and voids arranged in hexagonal patterns, similar to the surface of a soccer ball. The filaments, like the seams on the ball, are long, thin lines of activity where most of the matter in the universe has congregated. The voids are enormous regions of empty space containing little or no matter, similar to the hexagonal shapes on the ball. Most of the Universe is empty space. But what about the shape of the Universe; it may not necessarily be spherical, like a soccer ball? 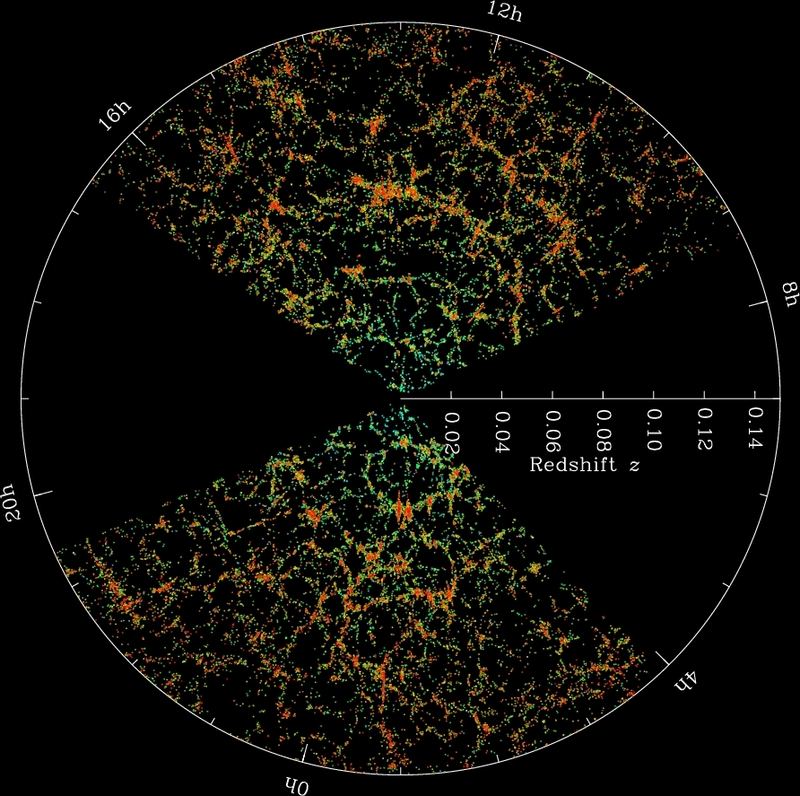 Standard models in physics and astronomy predict that the universe is expanding, that space is flexible. There are proposed universes with boundaries, without boundaries, with holes like Swiss cheese, elastic models, rigid models, etc. As individuals, we inhabit the center of a unique perspective. We experience the world in proportion to our sensory and perceptual limitations. And yet we can easily visualize an expanding universe as having a spherical shape. Perhaps because nearby planets and satellites, as well as our own planet, are spherical. We also know that our solar system and galaxy are spinning, orbiting systems. Another thing we want to know, but never quite get around to thinking about, is where we are located in space. Where are we? Imagine that you had no idea what neighborhood or city you lived in, what nation, or continent. You could function in the everyday world just fine, but the loss of your general whereabouts can also cause an uncomfortable sensation, or disorientation. We discover these feelings as children when we first take a few steps away from the safety of our house, then hurry back. Later we are brave enough to explore the sidewalk, our neighborhood, and then, by increased steps, the spatial boundaries that confine us. Thus we become familiar and oriented to our place in the world. The same may be true in our relationship with the great expanse of space. We know that we live on planet Earth near the moon and, along with other planets, are orbiting the Sun. Many of us are aware that we live in the comparatively large Milky Way galaxy – spanning about 1000, 000 light years – somewhere out on one of the spiral arms. From there, if you could take-off in your own spaceship, like you did on your bicycle to first explore other neighborhoods, you may head north toward Andromeda, our sister galaxy. The Andromeda and Milky Way are a binary pair of larger galaxies that orbit one another, edging closer together with each passing year. Some day in the far future, the two galaxies will collide, merging in a powerful display of galactic force and energy. But for now, you aim the spaceship south in the direction of a smaller group of neighboring galaxies that include the so-called Large and Small Magellanic clouds. From there it is a long trip to the center of the local supercluster of galaxies known as the Virgo cluster. There are a half a dozen separate groups of galaxies in this supercluster, including our own Canes Venatici. Our home galaxy, the Milky Way, is located on a corner of one of the two stubby arms of this giant collection of galaxies. The Milky Way galaxy, nestled in one of the short wings of Canes Venatici, resides on one of the thin filaments, or seams, that form the perimeter around a void in the large scale structure of space. Due to the vast distances that must be covered, you may not be able to explore space as fast as you would like, but to know where you are will help you to understand who you are. If space determines the dimension of things, TIME is the rate, or speed, at which things travel. Some objects travel relatively fast, like a speeding bullet, or jet airplane. Others move more slowly, like a giant cloud. Small objects, like a molecule or mosquito, tend to move faster than large objects, such as a whale or a planet. Things that have no weight, that we can’t touch or hold, like light and other forms of energy, travel faster than anything we know. Light travels at a speed of 186,282 miles in a second. Light tends to travel at the same speed, while material objects travel at widely different speeds, depending on their size and scale, and the forces acting on them. Time also means how long things last. A breath or heartbeat lasts only a second, a school or work day lasts for hours, a season lasts months, a friendship or job may exist for many years. Humans can live up to a hundred years, a tree, a thousand years or more. The duration of a sub-atomic collision is about a billionth of a second, while some stars and galaxies persist for billions of years. Time has a direction, and the direction of time is forward. In science fiction stories, we often encounter the idea of time travel, of ‘going back’ in time to revisit the past. But because time moves in a forward direction, this doesn’t happen in reality. When you drop a glass on the floor and it breaks, there is no way for you to ‘unbreak’ the glass. The dropped glass causes the glass to be broken. This progression from causing the glass to drop, to the effect of the glass actually breaking, is the forward direction of time. Cause always comes before effect. For now, instead of traveling backward in time, you will have to try to be more careful the next time you pick up a glass. Throughout the universe, all events are moving simultaneously. Some are getting faster, some are slowing down, while others are moving at a steady pace. Light, which travels at the fastest speed, generally does not speed-up or slow-down. On average, light travels at the same constant speed. Although, there are well–known laboratory experiments involving faster-than-light speeds. Physicists continue to search for the meaning of these experiments. The smallest increment of time is extremely fleeting. It is the shortest amount of time in which anything can move at all. We refer to this as the present. At any given moment, the time is now. Events occur in the present. We are tricked into believing there is a past because our brain is able to store events as they are happening, then later recall them. And because we can anticipate events based on information stored in our memories, our brains lead us to believe that there is a future. But in reality, there is only the present. We remember and anticipate things in real-time, in the moment. There is only now. Here is a question about time that, so far, no one has been able to answer. Is time incremental, like a clock; does it pulse like the rhythmic beating of your heart? 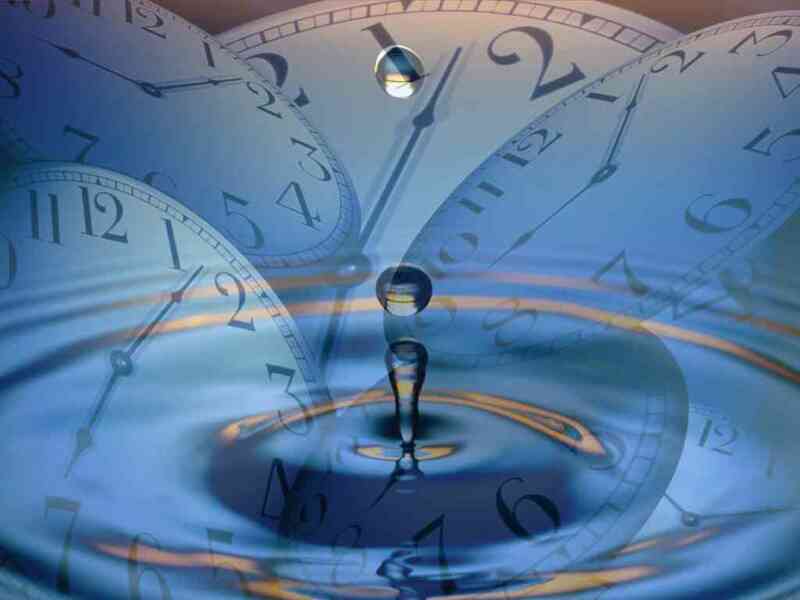 Or is time continuous; a stream, like water running out of a faucet, or a gentle sea breeze? Some think time is flowing. Some think it is beating or pulsing. Others believe that the answer may lie somewhere in between; that it may be a combination of both. There are many interesting ways that time affects us. Often it feels like time is slowing down or speeding up. When we are bored, the day seems to drag along, but when we are having fun, time flies by. Why does it feel like time lasts forever when we are experiencing pain? And why is it that as you get older, each year seems to go by faster than the last? These psychological effects tell us more about how our brain experiences time, rather than about time itself. Space and time are deeply connected. 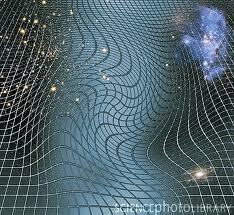 Einstein called this SPACETIME. Since we know that everything is always moving, then any given object or event will always be somewhere in space, traveling at a particular speed. An object can’t be moving without changing its location in space, and it can’t be somewhere in space without moving. Space and time are intimately linked. As space warps and curves, large objects or events will speed up or slow down, similar to skaters moving around a circular track. For events occurring at the atomic scale, we cannot simultaneously know both exactly where a particle is located and at what speed it is traveling. We can only make an approximation. In contrast to classical, Newtonian physics, it is a fundamental principle of quantum mechanics that when predicting the behavior of atomic events, we can only speak of a probability that an event may occur, rather than an absolute certainty. 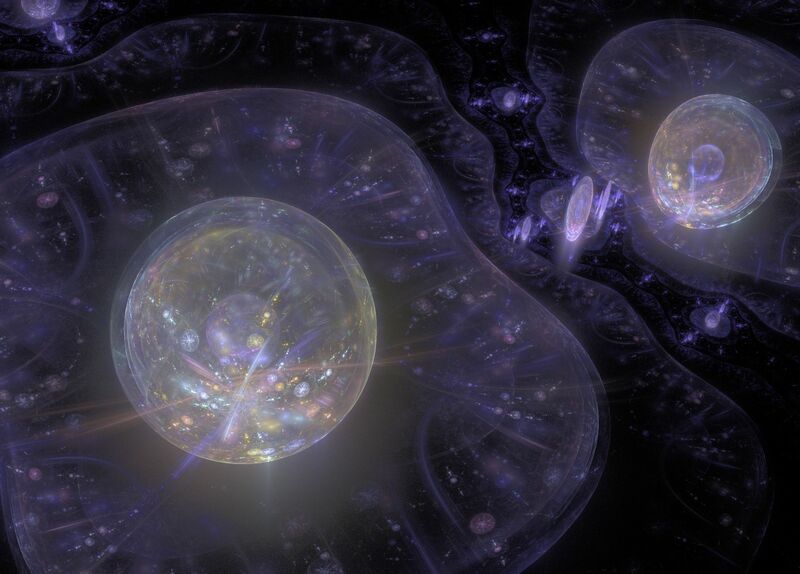 As we mentioned before, physicists and others who study the cosmos are exploring the idea that ours is only one of many universes, and that there may be hidden spatial dimensions that exist beyond the world of three-dimensions that we experience every day. Today, this and other theories are based on mathematical models. Tomorrow, they may be accepted as reality. There are even those who believe that, under certain conditions, time travel may one day be possible. Having a personal riaotelnship with the divine keeps thing’s a lot more real for most people. It’s truly more difficult to not trust and to betray the friend you speak with daily than it is the one you haven’t had a conversation with in months/years. Its also helpful to provide a very safe place to verbally vent our situations so that we can unwind from them while knowing that there is at least ONE person who will never share them with the world! LOL Thanks for the reminder Sherry,KimberlyPS: Something’s amiss with your commentluv plugin here on the blog. Please go into its settings and reset them to default which will usually sort it out. If it persists give me a shout. I can’t believe I could find your blog and writings that are truly insightful and scientific at the same time. Thank you so much for sharing and posting your hard-worked idea. I am truly enjoying your works. Guys who of you play Pokemon GO? Amazing game, finally Magmar has been caught using pokebusterbot.